“That history always has a purpose. That history is always about power. – Keith Jenkins ‘Rethinking of History’ Routledge Classics. 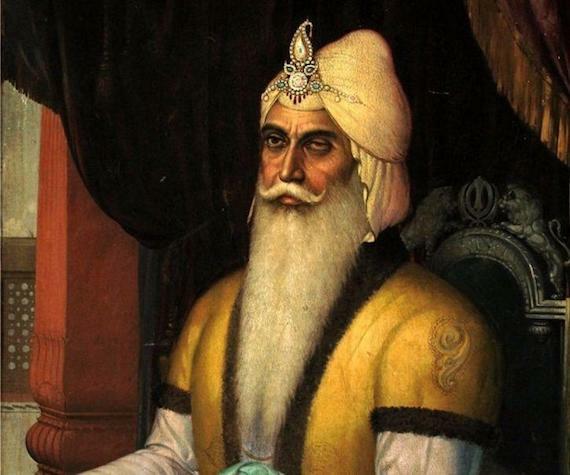 Of late, a majority of historians including those subscribing to the Left ideology have attempted to portray Maharaja Ranjit Singh, a 19th century sovereign king in South Asia with Lahore as his seat of power as a SECULAR ruler respecting and supporting all the religions. At the instance of central government they sought to highlight empathically secularism of the Sikh ruler in the modern context, particularly in 1980s when the Sikhs were politically restive in Punjab and were up in arms against the centralized New Delhi regime. A statue of the Maharaja was installed in Delhi and a flyover named after him. Commemorating the Maharaja’s ‘secular credentials’, a seminar was officially organized where historians applauded the ruler for his bountiful offerings to the Hindu temples, restoration of the demolished mosques besides building of historical Sikh shrines. Such sophisticated emphasis and representation of the Maharaja, in modern historiography, was not only an anachronism but also amounted to misrepresentation and distortion of historical, sociological facts and the conditions prevailing before the dawn of West European concept of governance reached the Indian sub-continent. This type of historiography, as eminent Left thinker Paul Sweezy observed, is an attempt to write ‘the present as history’. It may be noted that Nationalism- the mainstay of the Indian nation building polity- has vigorously been whipped up since Independence. And the European concept of ‘nation-state’ governance, for all practical purposes, is heavily based on an electoral system to acquire legitimacy for the democratic dispensation. Though the secularism is projected as face of the democracy, it is, in fact, ‘nationalism’ that has always been the main driving force behind creating a territorial and cultural unity and identity of the ‘nation’. The nationalism has also been the ‘motor force in the modern history’. By and large the Indian historiography, as J.H Broomfield commented, is ‘either imperialist or nationalist – the former recorded the activities of the rulers of colonial India and latter depicted as anti-imperialist movement and different stages in its development till successful conclusion with state-formation.’ The nationalistic historiography is, however, being criticized as ‘elitist, false and insensitive to regional variations’ (G. Aloysius) since it subscribes only to the nation- building project. Even otherwise, the phenomena of nations and nationalisms have attracted flak as they have proved “too complex, spread over long periods of time and encompassing large masses of people in vast areas, to be tackled by ahistorical theorizing” (A.Smith). Viewing in the above context, Ranjit Singh’s rule and his personal conduct cannot be described by the ‘concept of secularism’ which relates only to the democratic polity derived from the ‘nation-state’ dispensation. This model was superimposed on the Indian subcontinent and particularly in Punjab by the British after the collapse of the Sikh rule and merging of that territory into an Indian administrative unit- called India. And it has nothing to do with the pre-nation state monarchy however benevolent it might be. Hence the description of the Maharaja’s outlook as singularly secular – far advanced of his times—is meant to subordinate his dominant Sikh ethos and credentials to a ‘national cause’ and also to suppress Punjab’s distinct regional history and cultural specificities under the overbearing ‘idea of India’. First, the Maharaja’s success of establishing a sovereign Sikh rule over a large chuck of territory in the north-west was the culmination of a long Sikhs’ struggle for ‘Self-Rule’ which began with Guru Gobind Singh’s declaration ‘raj karega khalsa’ (the Khalsa shall rule). Thereafter, during 18th century, the Sikhs underwent untold miseries and sufferings at the hands of Mughals for a hundred year- long period which took a toll of two lakh lives. Despite being less than 10 per cent of the Punjab’s total population, the Sikhs, imbued with the Khalsa spirit, continued to fight for the entire 18th century against Abdali and other invaders from the west and confronted tyrannical Mughal rulers. Ultimately, the Sikhs emerged as rulers of Punjab in later part of 18th century by setting up their ‘misls’, the confederacies. over a large track of Punjab. Ranjit Singh who had inherited a small principality succeeded in stretching his rule from Suleiman ranges in the north-west to the river Sutlej in the south-east and from Ladakh in the north to Rojhan (Sindh) in the south-west. He was a shrewd statesman and possessed kingly quality not found in most of the other rulers. The Maharaja does not fit in the connotation of present idiom of secularism as he was a devout Sikh who ruled in the name of ‘sarkar-e-khalsa’. He struck coins in the name of Guru Nanak and always described himself as humble servant of the Gurus. 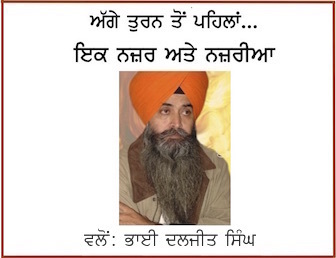 Faqir Syed Waheed-ud-Din writes in his book ‘Real Ranjit Singh’ that Ranjit Singh was a Sikh from core of his heart who started his daily work after a prayer and listening to recitation of the Sikh scriptures. Significantly, the Maharaja refused to sit on the throne of the Mughal ruler he had captured; instead, he used to hold the ‘durbar’ sitting on a chair. The Maharaja’s non-interference in the religion of others was not the outcome of his secular creed as modern historians make us believe. Rather, it was his ingrained Sikh outlook from which all his actions flowed. The present nation-state governance system, as being pursued in India, seeks to bulldoze the cultural and historical distinctions to establish a territorial unity and homogeneity of all sorts. Evidently such practice ends up in setting up a majoritarian rule. In the nation-building process minorities like that of Sikhs, proud of their distinct history and culture, invariably, become the worse victims. But Ranjit Singh, even being a monarch of the East, followed liberal religious policies, and raised a ‘heterogeneous State’ acceptable to different religious communities. An affirmation to this effect comes from Dr Banerjee who underscored that “Sikhism had been catholic faith since its birth, and that aspect of its character had not been affected by the cruelties inflicted by the Mughal state on the Gurus and the freedom-fighters (Sikhs) of the 18th century. Sikh ideals do not allow religious conversion and use of theocracy as an instrument for the ruling”. That is why, Ranjit Singh never used his religion as a tool for ruling and meting out discrimination against the people of other faiths. 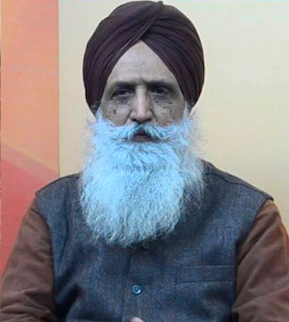 Neither did he try to raise the bogey of ‘Punjabi nationalism’ and ‘Sikh brotherhood’ to establish his dictatorship over other communities or other Sikh principalities. Unlike the present nation-state model of ruling which invariably centralized the power, Ranjit Singh depended on a considerable number of vassals over whom he exercised suzerainty and their existence “put a definite limit to centralization’. In his State, there was an element of partnership with other communities. He continued with the Mughal system of State-grants to Muslim theologians and men of learning. Qazis, Syeds, Alms and Faqirs were given khilats and jagirs. Hence, much of the modern historiography, pursuing Indian nationalistic goals, has not only distorted the pre-British history but also attempted to rob the Sikhs of their icon, their long history of struggle and a distinct culture and way of living. Referring to the plural, composite and complacent Punjabi society, eminent historian Raj Mohan Gandhi makes a terse remark that when Punjab’s Muslims and Hindus forming a majority of the population were not opposing the Delhi rulers and their viceroys, what motivated the Sikhs to continue their fight for ‘Self-Rule’ for a hundred years? 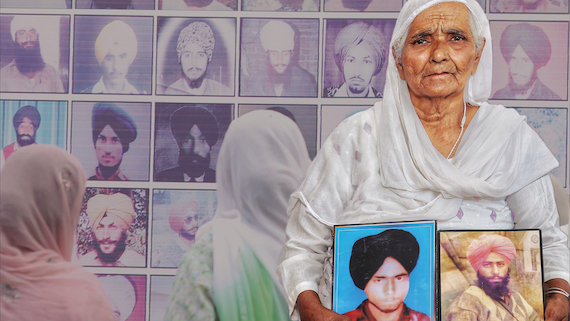 Surely, it was the Sikh ethos and the Khalsa way of life that had made them restive and freedom seeker. Anthony Smith (1981)-Ethnic Revival, Cambridge University Press. T Raychaudhuri (1979)—Indian Nationalism as Animal Politics; Historical Journal, Vol XXII, No 3, pp-747-63. A.Low (1968)- Soundings in Modern South Asian History, Berkeley, University of California Pres. J.H Broomfield- Theory of Modern Indian History, IESHR, Vol II No 3, p-279-91. Economy, eds- Fauja Singh and A C Arora, Punjabi University Patiala Publication (1984), p 152-158. Rajinder Singh, Maharaja Ranjit Singh’s Place in History (ibid) p 151-152. Dr Bhagat Singh, Maharaja Ranjit Singh (Punjabi), Punjabi University, Patiala Publication.